We passed through Cedar Breaks National Monument on the way from Cedar City to Bryce Canyon, Utah in August 2010. 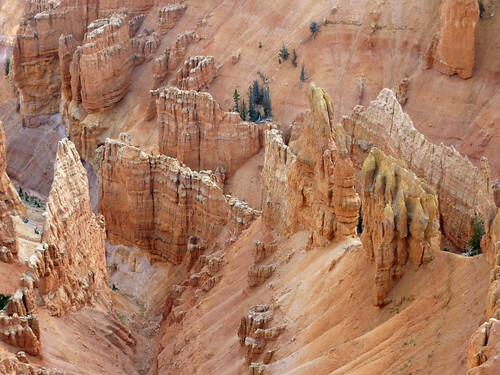 Cedar Breaks is a fairly small but very cool site - it's also usually cold since it is at 10,000 feet above sea level. We didn't have much time to spend but we did check out Point Supreme and Sunset View - definitely worth the detour!